Natural components in grapes, called polyphenols, have been found to have properties that can help protect organ damage caused by metabolic syndrome. The research, presented at the Experimental Biology conference in Boston, reveals even more health benefits of consuming grapes. The lead author of the study, E. Mitchell Seymour, Ph.D., led research that observed the health effects that a high fat, American-style diet with added grapes and without grapes had on the liver, heart, kidneys, and fat tissue in obesity-prone rats. The grapes were a mix of green, red, and black and were part of the animals diet for a total duration of 90 days. At the end of the 90-day period, the researchers noted that the rats on the added grape diet had reduced inflammatory markers in their body, in particular in the abdominal fat tissue and liver. In addition, they found that those on the grape-enriched diet had lower kidney, liver and abdominal fat weight than those who didn’t eat grapes. 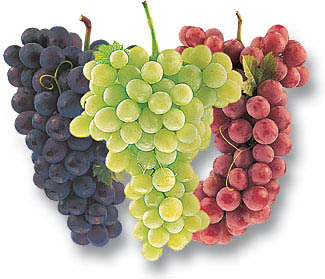 The team also found that grape intake increased markers of antioxidant defense, particularly in the liver and kidneys. 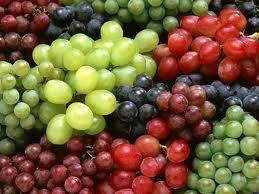 Intake of fruits and vegetables is thought to reduce these risks, and grapes have shown benefits in multiple studies.